Yong Hwa: Yinyuetai, watching good music videos. Hello everyone, we are CNBLUE. Yong Hwa: I think I am the best-looking guy in the team, and that’s why I uploaded the photo. Q: Who is the best-looking one in CNBLUE? Q: So, where is the most attractive part of Jung Shin? Yong Hwa: Vote of sympathy. Hahaha… (Black-hearted Yong Hwa without discussion a head…). Jung Shin is good-looking and very tall. Q: How about other 3 members? Do you think you are handsome for any parts of yourself? Jung Shin: (Pointed out to Jong Hyun) He might have the thoughts for this question. Yong Hwa: It’s me (without any hesitation). Hahaha…it’s just kidding. 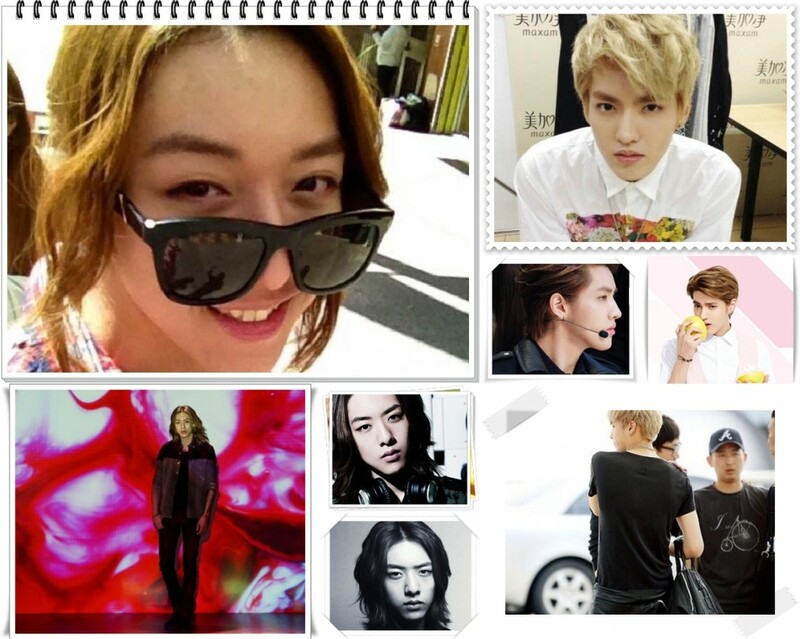 I think the handsome guy one in our team….umn…it’s would be Jung Shin. Q: What is Jung Shin’s opinions? Jung Shin: From my point of view for CNBLUE members’ appearance ranking, I’m the 4th place. Q: In which part you think you would be in the 1st place? Jung Shin: I think my ranking is always the last in every aspect. I have the most insufficiencies. Jong Hyun: You are the tallest. Jung Shin: Yes, I seem to win the 1st place in term of height. When talking about the appearance, I think Yong Hwa is the best-looking one. Q: How about Min Hyuk? Min Hyuk: I have never thought that I am handsome (Chuckle). I think Jung Shin is the most attractive and best-looking one among us. Jung Shin is very manly and I admire him for some aspects. Jung Shin is the” HOTTEST” one recently, very hot. Yong Hwa: You can’t be close to him (Chuckle). Q: Jong Hyun’s impression to everyone is always quiet and gentle, has good shape and the fair white skin even envied by girls. How does Lee Jong Hyun look like in ordinary life? Jong Hyun: I like taking exercise very much. Yong Hwa: When Jong Hyun is interviewed, he makes many wise sayings. For example, you can simply say “all our songs are very good”. Jong Hyun may say “Our songs are like to choose one person from our parents” (Meaning: Song is very good and can be changed in every element). Min Hyuk : I really work out everyday. I work out even when I feel tired. I think it’s my way to keep my figure. To be frank, everyone might think I’m very thin from my face, but actually it’s not like that. However, I am not saying I’m a muscle guy but just not that very thin type. Jong Hyun: (Min Hyuk”s) body shape is natural built up like an inverted pyramid. Jong Hyun: It’s just like looking at a (David) statue. It’s amazing. Q: CNBLUE as a band, you usually perform with instruments. Yong Hwa said that he was a Dancing King not long ago. Do you have plans to add dance elements in your performance? Yong Hwa: We don’t have a plan to add dancing into our performance. Regarding to dancing king, it seems to be me with no doubts. Or I should say it’s a kind of internal controlled dance. (Internal controlled dance. What?) I just follow the rhythm to shake my body. Q: Do you think you dance the best among the team? Jong Hyun: We are not good at dancing. Min Hyuk: Everyone agrees with Yong Hwa. Yong Hwa: It’s really funny to dance right here, but you will find out I dance well beyond your expectation if you come to our concert. Hope everyone can see that. Q: In the last, do you have any words to Yinyuetai Boices? Yong Hwa: Yinyuetai, I hope CNBLUE can get more support from Yinyuetai Boices, and we will bring great performance to all of you. Xie Xie (Chinese thank you). We’re CNBLUE. Xie xie. The interview is full of bugs. We know you don’t have it enough from the interview. Seeing four of them should be satisfied. Don’t care about those details.